The K League Classic continues this weekend after the FA Cup Final break with it’s 36th round of games. This is the third game after the League Split (out of 5). The highlight game of this round of games is the “Super Match” between FA Cup Winners FC Seoul and Suwon Bluewings, this derby game is always entertaining and with Suwon hoping to secure a champions league place it’s also important. The league table is lead by Jeonbuk Hyundai who have top since close to the start of the season and are 7 points clear. Suwon Bluewings and Pohang Steelers are just behind them, with Seoul, Seongnam and Jeju completing the top half. Incheon are 7th (top of the Relegation Round) 3 points behind them are Ulsan Hyundai and then Jeonnam Dragons are in 9th 2 points behind them. Then come Gwangju who are 15 points ahead of 11th placed Busan and finally Daejeon who are 5 points adrift, completing the table. Championship Round Update: If Jeonbuk win this weekend they’ll retain the championship. Also if Pohang and Suwon both lose they’ll also be crowned champions this weekend. Relegation Round Update: If Busan I’Park win this weekend and Daejeon lose, Daejeon Citizen will be relegated this weekend. FC Seoul won the FA Cup Final last weekend and are unbeaten in their last 3 games. They’ll hope to bring some of that from into this “Super Match”. Suwon Bluewings have drawn one and lost one since the league split, but should at least be able to claim a champions league place. This one is always close and entertaining, but we see it ending in a draw. Jeonnam Dragons haven’t won since the end of July and it seems like they just want to end the season now and move on. Gwangju have won one and drawn one since the league split but also seem to be planing for the 2016 season. Gwangju on paper have the slight edge here, but this won’t be a classic. Ulsan Hyundai have picked up 4 points since the league split and do seem to be finding a little end of season form. Daejeon Citizen have finally woken up after a season to forget winning their last 2 games and keeping their faint K League Classic dreams alive. This will be close but we’ll give Daejeon the slight edge as they still have something to play for. Jeju United made the championship round on a dramatic 33rd round of games beating leaders Jeonbuk. Jeonbuk Hyundai have lost some form recently but could clinch the title if they win. We see this being very tight and a draw maybe the logical outcome. 2nd placed Pohang Steelers have won both of their games since the league split and still have an outside chance of winning their 2nd title in 3 years. Seongnam have picked up just 1 point since the start the of the championship round and a champions league spot now seems unrealistic. Pohang will be the favorites here. Incheon United lost in the FA Cup Final last weekend at the Seoul World Cup Stadium and so will be looking the bounce back here in the Lee Chun Soo farewell game. Busan I’Park have had a season to forget and are still be the relegation battle. We see this ending in a draw as it’s a bit of a end of season friendly. 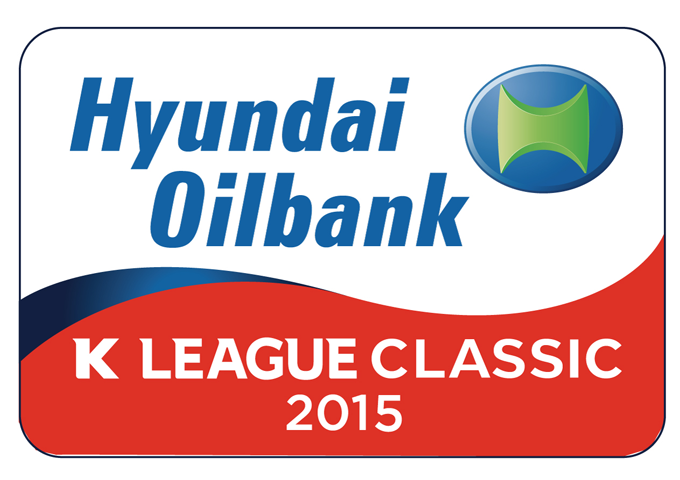 Jeonbuk Hyundai retain the K League Classic title. Round 34: 2 correct results, but no perfect scores. Round 33: 3 correct results but no perfect scores. Round 32: 2 correct results, but no perfect scores. Round 30: 1 correct result after a weekend of surprises and draws. The K League Challenge moves into the 41st round (out of 44) of the 2015 season. With most sides only having 3 games to play it’s now the busy end of the season. The highlight game of the this round of games is the late Saturday afternoon game between 2nd placed Sangju Sangmu and bottom side Chungju Hummel. This looks like a home banker on paper but it might be a championship banana skin. The league table is now lead by Daegu who have just a single point lead at the top. They are just ahead of Sangju Sangmu, Seoul E-Land and Suwon City who make up the playoff places. Bucheon are 8 points behind them, with Anyang and Goyang Hi 2 points adrift of them. Ansan and Gangwon make up the mid-table places. Gyeongnam are 10th and finally bottom club is now Chungju Hummel who slipped down to the foot of the table, and are now 5 points adrift. All 3 playoff side lost giving Daegu a big chance to extend their lead on Sunday. Predictions Update: 1 correct, as the top 4 all surprisingly lost.